Booking Linford Christie will go down a storm at your special event! We are a booking agent for Linford Christie, and can arrange for him to entertain your guests. With 23 major championship medals including 10 gold medals and 26 national titles, Linford Christie OBE is still one of the successful British male athletes in history. He is the only British man to have won gold medals in the 100 metres at all four major competitions open to British athletes: the Olympic Games, the World Championships, the European Championships and the Commonwealth Games. Linford Christie was the first European to break the 10-second barrier in the 100 m and still holds the British record in the event. 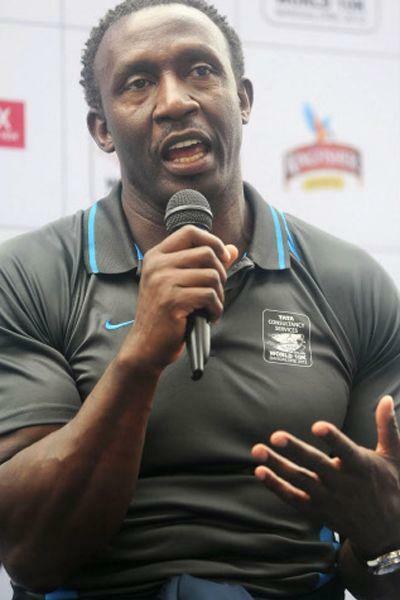 After Linford Christie retired he opened up his own sports management company and has trained other athletes, who went on to compete in the Olympics. In April 2006 it was announced that Christie would be a senior mentor for athletes on the national team, and was, invited to be one of the carriers of the 2012 Olympic Torch on its journey through London. Linford Christie’s gold medal performances in world, European, Commonwealth and Olympic competitions rank him as one of the most successful 100m sprinters in international events. Linford Christie won 10 gold medals and a total of 24 medals over his career in major championships; the record for any British male athlete. 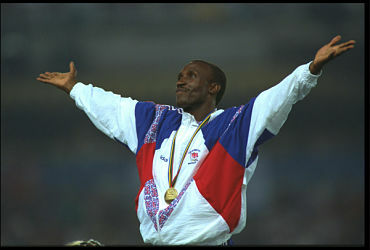 On 23 September 1995, Linford Christie set the current M35 world record of 9.97 in the 100 metres. On 25 June 1995 he set the current M35 world record in the 200 metres in 20.11 seconds and on 3 January 1997 Christie set the current indoor record in the M35 60 metres in a time of 6.51 seconds. 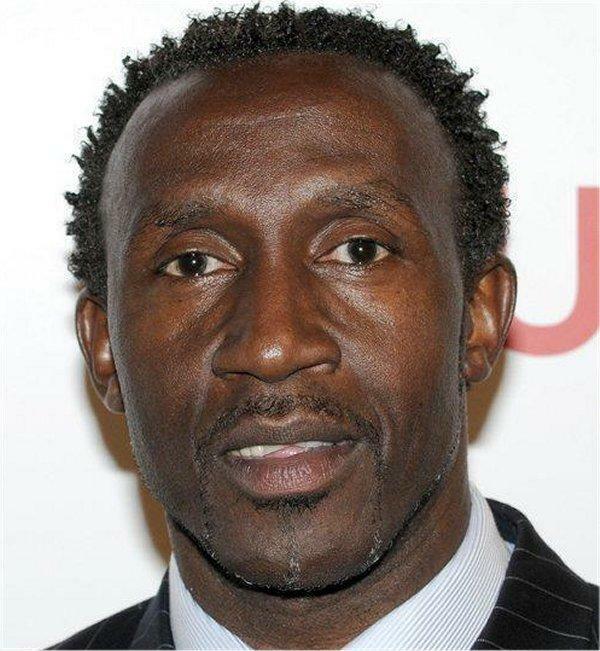 In 2010, Linford Christie was inducted into the England Athletics Hall of Fame. Contraband is the UK’s top booking agent, with affable, experienced account managers who guarantee you the best deal possible. Contact us today if you would like to book Linford Christie to be the headline of your event! We as your booking agent are more than happy to help you create the most memorable moments with Linford Christie.